Machines that turn plastics into oil solve two economic crises in one shot. Entrepreneurs from all around the world are popping out with innovative solutions, and billions of dollars in subsidies to profitable oil corporations should be transferred to more productive activities. A recycling depot from Whitehorse, Canada, recently adopted a $200,000 machine that can turn 10 kilograms of plastic into 10 litres of synthetic diesel. Whitehorse throws away 900,000 kg of plastic on an annual basis. Agri-Plas is an Oregon based company that turns agricultural plastics into oil for around $50 a barrel. In Japan, Akinori Ito created a $10,000 machine that turns plastic bags, bottles, and caps, back into oil. 1 kg of plastic produces one liter of oil, at a very competitive cost of $1.50. Azza Abdel Hamid Faiad, a 16 year old from Egypt, discovered a catalyst that would turn plastic to $78 million worth of oil at an initial stage. 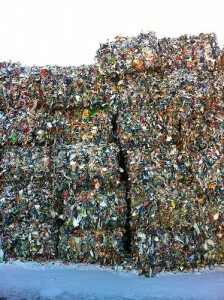 These machines will not fully solve CO2 emissions, but turning plastics back to oil will solve a very serious problem and allow us to fuel our economies while we desist from pushing deeper into dirtier methods of production. Although the market is coming up with solutions faster than we can imagine, the reason these machines are not yet that competitive is because profitable oil corporations are heavily subsidized. Worldwide, fossil fuel subsidies top $600 Billion annually. 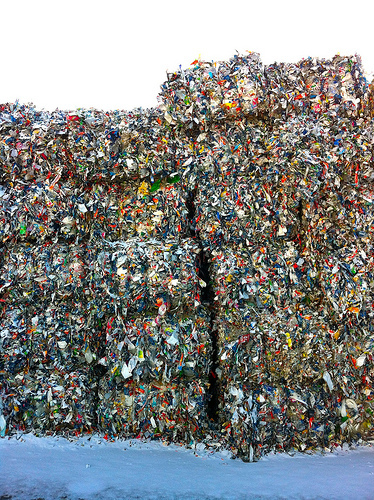 Assisting recycling depots is a great start for setting up closed-loop systems in our cities. It is an investment that takes our economy to a greater potential rather than a cost, such as the case of war and tar sands.